Facebook has hit another Milestone: More than 1 MILLION people, or you can say privacy conscious, are accessing Facebook over TOR. 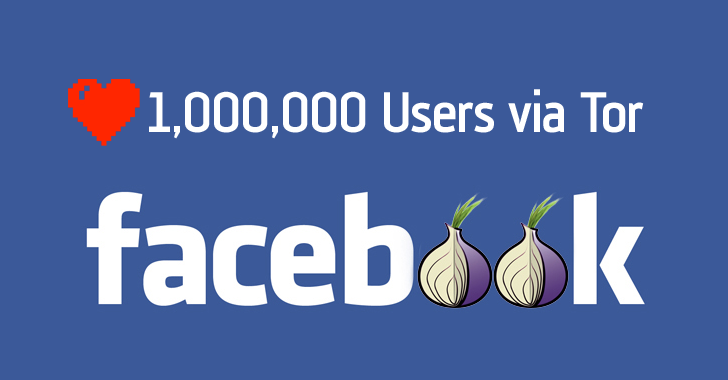 Facebook proudly announced today that, this month, for the first time, the people connected to the anonymous version of Facebook that's accessible only through the TOR anonymity network exceeded 1 Million – an increase of almost 100% in the past ten months. Today, when global surveillance system continues to grow, encryption has the power to protect users’ security and privacy online. And it is ultimately a good thing that companies like Facebook are competing on users’ security. In 2014, Facebook launched a special version of its website that runs only with the help of Tor anonymity software that offers privacy to users. Tor anonymity software or Tor browser secures and encrypts connections to prevent cyber criminals or law enforcement agencies from tracking users’ web activity. "In June 2015, over a typical 30 day period, about 525,000 people would access Facebook over Tor," says Alec Muffett, Software Engineer at Facebook. "This number has grown – roughly linearly – and this month, for the first time, we saw this “30 days” figure exceed 1 million people." Moreover, in January this year, Facebook added built-in Tor support for its Android app, allowing hundreds of millions of mobile users to maintain their online privacy when visiting Facebook. “This growth is a reflection of the choices that people make to use Facebook over Tor, and the value that it provides them. We hope they will continue to provide feedback and help us keep improving.” Alec says. Beyond Tor software and Facebook hidden service, you are also advised to adopt secure email services and privacy-enhanced mobile apps to protect yourself online, if you are privacy conscious. Recently, Whatsapp and Viber, two popular mobile messaging services also joined the encryption party by turning ON end-to-end encryption by default for their over Billion of users.